Currently viewing the category: "Prazi"
The environment seems to be the latest flag to rally around, so it should come as no surprise when companies tout that their product “saves the environment.” Why should Prazi be any different? They waste over half their copy on how their product is “Green.” Cut through the bullsh@t and here’s what’s left. Quick Draw McGraw would appreciate this tool, and even though he’s not the sharpest tack in the drawer, he’d be right on in this case. Think of all the times you’ve wound up in a contorted position, and in order to grab your hammer you had to pull the head out of the belt loop to get to the handle — not the smoothest move. 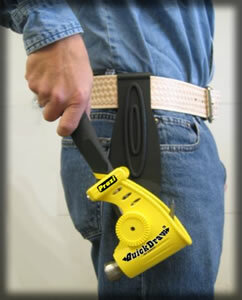 With Prazi’s QuickDraw you store your hammer handle-up, so it lands easily in your hand. 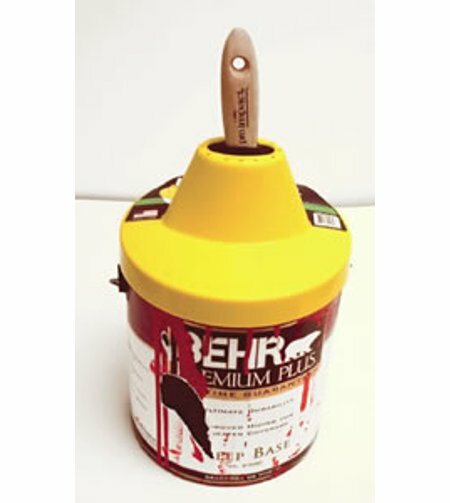 I must love buckets — they’re all over my home, shop, and garden — but the ones missing their handles cut into my hand when fully loaded, and the new ones can be a pain to open. 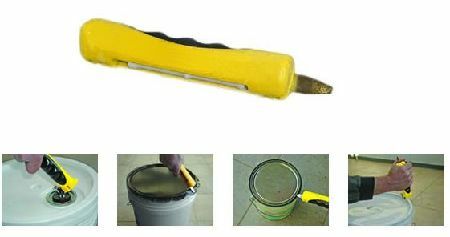 Fortunately Prazi makes the 4-in-1 Bucket tool; it can serve as a replacement handle, and it’ll also help you pry off those stubborn lids. 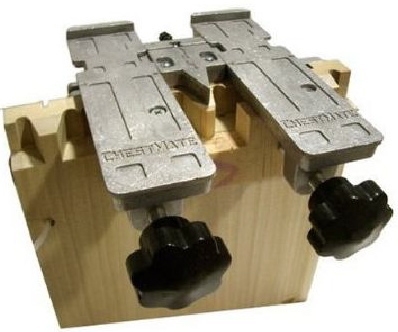 If you’re looking to create dovetails with no limitations on the length of stock, the Prazi Chestmate can help you make ’em any length you want — at about the cost of most entry level systems. 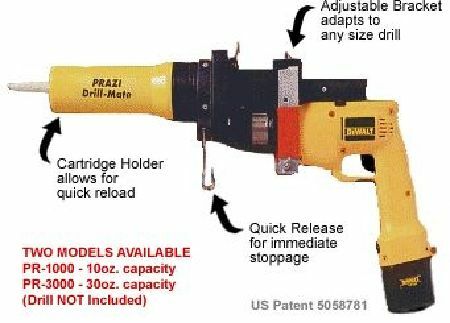 If you hate caulking as much as I do, check out the Prazi Drill Mate. 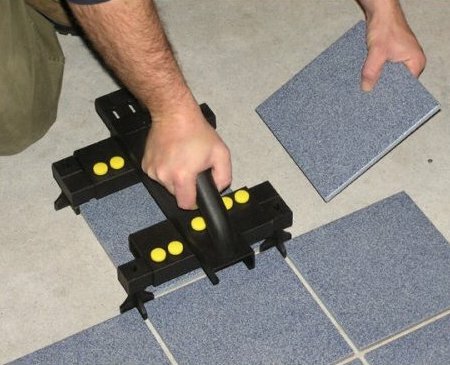 Hook it up to your 3/8″ corded or cordless drill and it’ll dump a tube of adhesive in about fifteen seconds on high speed, or you can ease off the trigger and dispense the adhesive as slow as you want. If you want to stop in a hurry, just pull the quick-release switch to instantly release the pressure on the tube. You don’t always have enough room in your tool belt to hold a bunch of framing nail coils, and even if you do, the unsupported pouch can bend up the coils making it harder to load ’em into your nailer. 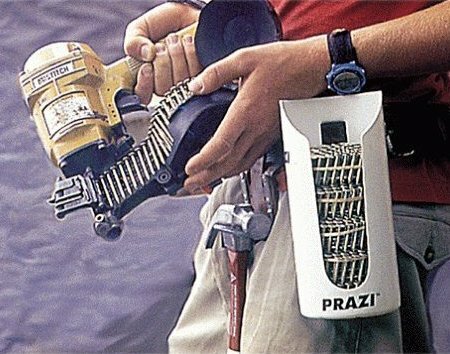 To solve this problem, Prazi came up with the Framing Coil Caddy to hold up to seven coils on your belt at once. 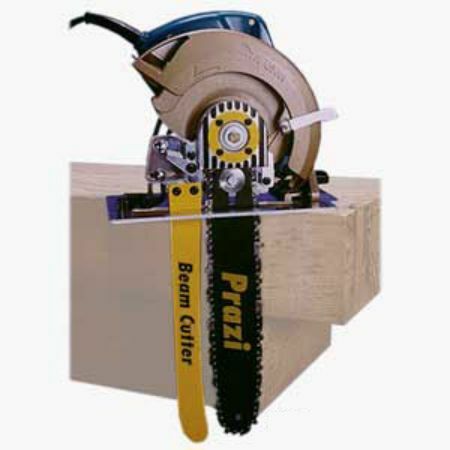 This beam cutter attachment from Prazi enables your standard circular saw to rib lumber up to 12″ thick — perfect for making single pass cuts of beams, posts, and logs. 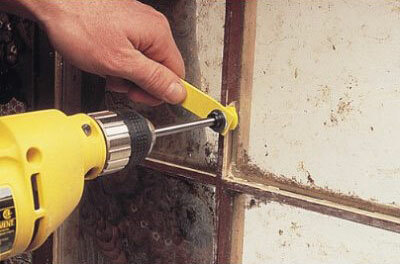 The attachment installs with three bolts and doesn’t require you to remove any existing saw parts, so it converts back just as quickly.